What Is Micro-needling and Why Have I Been Doing it ? 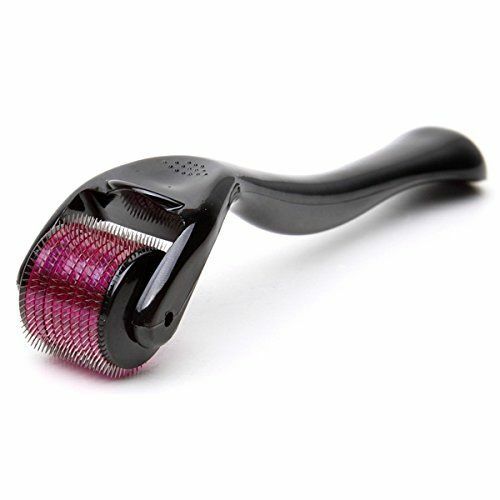 Micro-needling is a therapeutic technique where a small machine (like the one below in the picture) has small/micro needles that move over your skin to irritate it so it could repair itself by producing more collagen. The speed of these needles determine how much your skin will be injured or irritated, the dermatologist will know this based on your skin's needs. The result can vary from minor irritation/redness to bleeding. That's right, BLEEDING. But its' not as bad as it seems, it's just a little blood that comes out and you have to rest your skin and keep it away from the sun. This is the In-Office device. 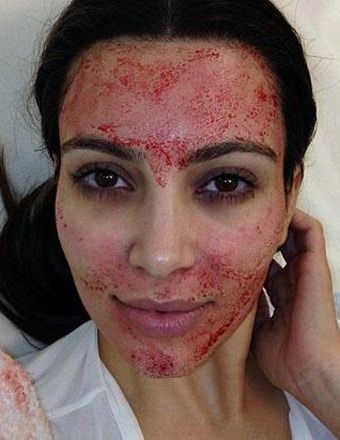 This is Kim K bleeding from micro-needling. We have two types of micro-needling techniques: In Office vs. At Home. It's done under the supervision of a dermatologist. 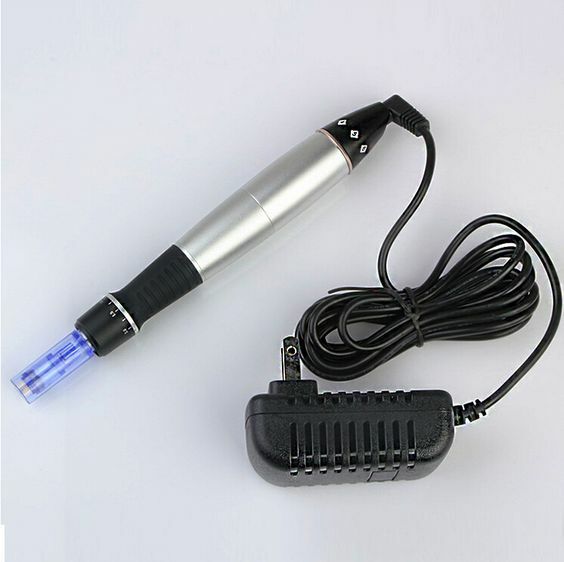 He or she will know how to sterilize the device and your skin before doing the procedure. The needle reaches over 1 mm in depth so it's enough to produce collagen stimulation unlike the At Home device rollers that look like the one above. What are its benefits ? Even though I stopped getting severe acne in my face a long while ago, I still have acne scars and marks in the form of minor hyper pigmentation. I always apply makeup to cover them and I never seem to have pure skin. I went to my dermatologist last December to get an acid peel but he said that this is not the answer. 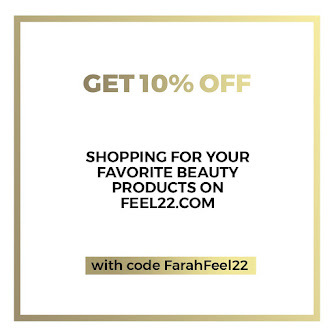 The acid peel might decrease the appearance of the dark spots, but it doesn't have an effect on the scars at all. He also said that it's a bit dangerous and that I'll have to stay at home for 2 weeks, NO THANKS. So he suggested Derma Pen or micro-needling because it's much safer, no down time or staying home for 2 weeks, and it gets to work on the acne scars AND the dark spots left behind the old acne. I've been doing it since January every 2 weeks or so. Till now I've done 5 sessions which are the minimum that I need, tomorrow I'm gonna have my 6th session and we'll see how much I'll improve from there. He said we'll stop when I stop improving. Till now, my acne dark spots are gone 90% and the scars have improved by 50% or more. Not bad right? What do you feel during the session ? 1st you'll feel a minor pain, duh! But don't worry you can tolerate it. 2nd: you'll feel heat rising to the skin of your face. 3rd: Your skin will start to tickle and you'll feel the need to scratch or rub it, but don't. Your dermatologist will apply sterile water which will soothe it. 4th: when you're done you'll feel your skin tighten so much that you'll think you had a face lift. What about the aftermath ? During those 24 hours do not, I repeat, DO NOT apply foundation. The feeling of tightness will also remain for as much, but this is a great thing because it means that the collagen is kicking in. In the 3 days following the session, you shouldn't go to the beach and be exposed to the sun for long periods of time, EVEN IF you're wearing SPF.